School of Machinery Industry Key Laboratory of Chip Control and High Efficiency Tool Technology, Harbin University of Science and Technology, Heilongjiang, Harbin, 150080, P.R. China. Aim at the error caused by ram assembly deformation of CNC floor milling-boring machine tool under the thermal load, by the coupled thermal field analysis, obtained ten key locations deformation and error of ram components, milling and boring axis, which was found correlated with environment heat, friction heat and cutting heat source, and proposed to control program of thermal error compensation. 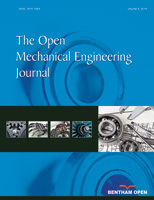 Used par thermal error compensation method, established the relations between thermal error and compensation values of a fixed position ram assembly, by changing the ram and boring axis elongation thermal error compensation experiments, corrected coefficient of thermal error compensation, and used milling experiments, verified compensation effect of fixed position ram assembly thermal error. Adopt thermal error compensation method which based on temperature sensor, by boring axis reciprocating feed motion experiment, established a function between the ram assembly key points temperature and boring axis thermal error, used the inside compensation device of ram and boring axis, implemented boring axis thermal error compensation.